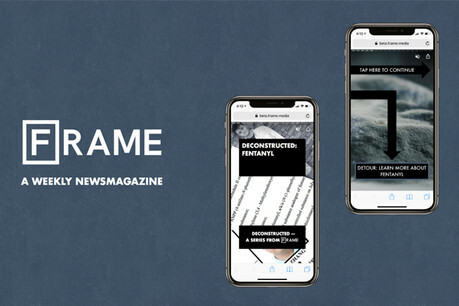 Frame, a US-based media startup, is launching a magazine fit for the smartphone era. Founder, CEO and editor-in-chief Ben Moe decided to create the new publication after realising there was a gap in the digital market for a tactile, interactive product that is tailor-made for mobile audiences. “We feel the idea of the magazine has been lost, even the great magazines. The feeling of getting The New Yorker on a Tuesday and looking forward to it is lost. It’s a habit you anticipate – that doesn’t really exist for digital media,” he explained. 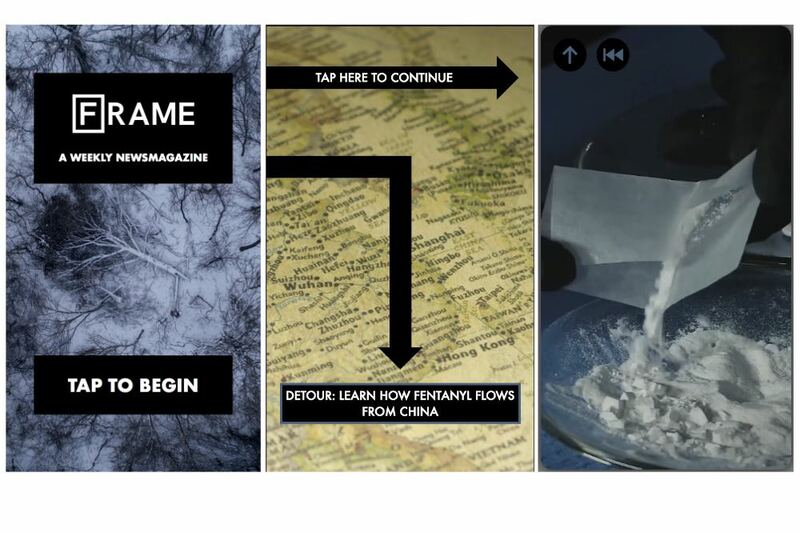 One of Frame’s first stories Deconstructed: Fentanyl offers a sneak peek of their interactive format and what audiences can expect. The viewer follows a story of an 18-year-old’s death from a fentanyl overdose and the international investigation prompted by this tragic event. The combination of Google AMP Stories and the open-source CMS Django enables audiences to follow the storyline or make a ‘detour’ to learn more details about a particular topic. Interactive documentaries are not necessarily new. What sets Frame apart, however, is that this format helps younger audiences gain a deeper understanding of why news happens. The other way Frame wants to emulate magazines is by introducing different sections for each day of the week to develop reading habit and a sense of anticipation. By binning apps and opting for open web versions instead, the mobile magazine hopes to maximise audience engagement. “News apps are an incredibly tough sell and it’s hard to create the behaviour of opening them. We just want to reach people where they are and open web removes the barrier of entry. The web has gotten so sophisticated that now we can use it to create app-like experiences and that will only increase,” he said. Deconstructed series will run as a weekly Wednesday edition that audiences will be able to access through their smartphone calendars, via push notifications. Frame launches on 27 March with an ‘inaugural month’ offering a free trial, with the option to take up subscription at $5 a month or $50 a year afterwards. “How do we create a digital media brand that speaks in the language and operates in a way that mobile native generations do?” he asked. “My hypothesis about where the media is headed generally doesn’t buy into this idea of micropayments. Moe also noted that social media can be damaging for news content because it has become more about outrage and identity politics and less about understanding. “Something which explains how something works doesn’t share well,” he said. “What I now realise is that you can’t build a media brand on a platform. Achieving scale there means a compromise on your editorial decisions. “The constant feeling of having to change your editorial voice to get a certain amount of views, I think if you asked any digital reporter they’ll tell you it’s quite demoralising to be in a situation where you know how you want to tell a story, and then have to tell it differently.